First, I would like to send out a big “THANKS” to everyone who attended the 2012 Annual General Body Meeting (AGM) on 8th September 2012 and made it a huge success. This was one of our largest attended meetings in a long time. We would like to see this attendance continues to grow in the years to come. AAK SELECTS NEW COMMITTEE. CONGRATULATIONS TO NEW COMMITTEE MEMBERS. 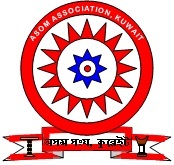 Asom Association Kuwait in its 4th AGM held on the 8th September 2012, selected its new Committee for the year 2012-13 . CONGRATULATIONS TO THE NEW COMMITTEE. Bihu 2011 Announcement - Gen. Secy. Welcome to the page reserved for Members only. We are continously upgrading / updating our site, and therefore we request you to visit the site regularly. Also please make your views / opinions known to us through the options available in this site. We further request you to fill up the form here to update your profile in our database. We need this updated information of our members. We have created this site as a tool for communication within our members and to present ourselves to the world. Let's join hands to make this venture a success. File is available for download.